Approx. 3.93 inches x 6.29 inches (10cm x 16cm). Unframed. 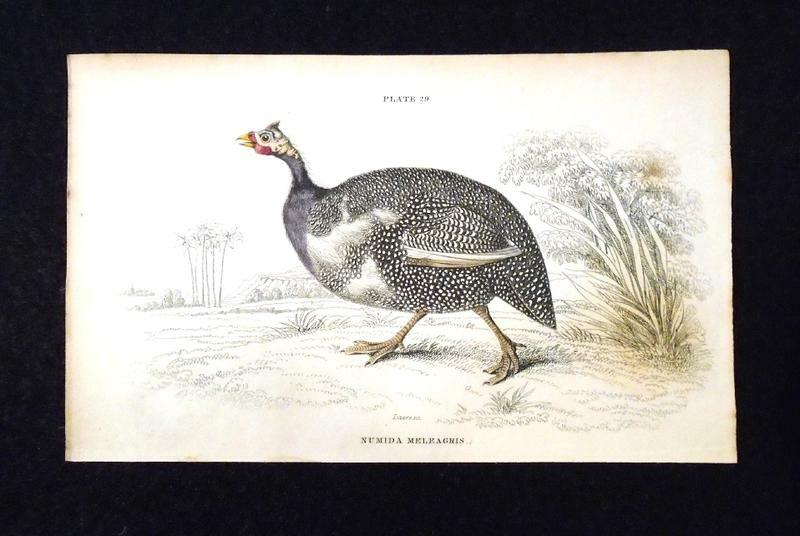 Authentic antique print (not a reproduction) with original hand-colored finish, taken from a dis-bounded volume (The Natural History of Gallinaceous Birds, Vol. 1) of The Naturalist's Library by Sir William Jardine, published in Edinburgh in 1834 by W. H. Lizars. The back side is blank. See photo for minor staining and signs of aging. Very good condition. Print has no tears and edges are sharp. Free shipping to continental U.S. $5 shipping elsewhere.